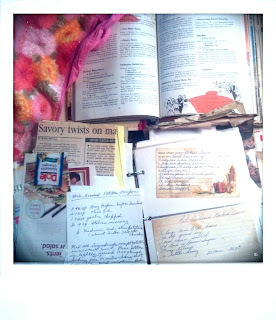 Chef Dubbbs: The Lost Art of Recipe "Scrapbooking"
The Lost Art of Recipe "Scrapbooking"
A few months back my Grandmother asked my cousin and I to come and help her clean out her garage, OY VEY! A project I had dreaded turned into a fun filled day of reminiscing over old photos and other keepsakes that our Grandmother had packed away and forgotten about. One of the best nostalgic items we came across was a collection of her old cookbooks and a binder of recipes that she had written or collected throughout the years. Of all the professional cookbooks I have, these old cut and paste personal recipe scrapbooks are my all time favorites. For me they are a glimpse into the life of the important women in my life. Three years ago, we lost my mother-in-law to be, to cancer and of all the precious things I could have taken from her home as a remembrance of her, her version of this recipe scrapbook was the only thing I wanted. While I have practiced and somewhat perfected the recipes in this scrapbook of hers, I occasionally pour myself a glass of wine and pour over these recipes and think about Rose. I can picture her sitting and writing out these recipes or planning a special meal from her tried and true favorites. I like to think of her reading a magazine and coming upon a recipe that she thought someone would like and deciding to cut it out and add it to her collection so that she could make something special for someone the next time she had a party. I think one of the most special aspects of this collection of recipes is being able to open this book and see "her" recipes written on scraps of paper and just seeing her handwriting makes me feel close to her, even though she's gone. Knowing that I am holding a piece of paper that she wrote something special on is truly a gift. 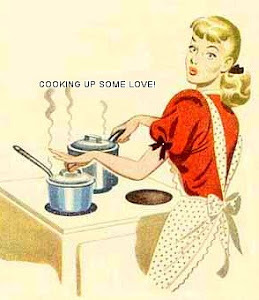 Part of the fun is looking at what these recipes are written on, old company notepads from jobs she held, the backs of letters her sons brought home from school, I even found a fabulous party dip recipe written on the back of her ovulation chart! Try taking that to the grocery store to use as a shopping list! When I came across this binder of my grandmother's she couldn't believe how excited I was to find this, she wanted to throw it out! While she has an I-pad she is not exactly what I call tech savvy and she doesn't realize that this treasure is something of a long lost art. 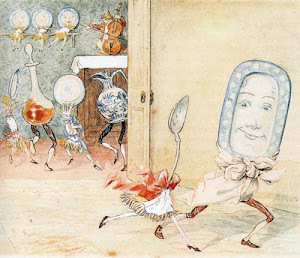 Now-a-days we are prone to bookmarking a recipe online or now even more current "Pinning" it! We read our magazines on our Kindles or I-pads so the technique of cutting out a recipe is no more. When I make a dish that someone loves, and they ask for the recipe, I no longer take the time to write it out, but grab my smartphone and email it to them instantly! Or post it on my Facebook page! Since I have the Summer off I decided to have a throwback week of cooking where I picked out recipes from this book that were "retro" and prepare them in the 1950's style of having a theme each night. I am on Day 3 of this project and though time consuming, am loving every minute of it. The details are for another blog post another time. In doing this project it made me nostalgic for a time period in history that I was never a part of. 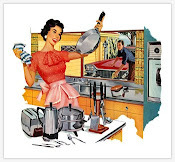 A time period of stay-at-home moms, Kool Aid, women wearing dresses everyday and pink kitchen appliances! Going through my Grandmother's recipe scrapbook, picking out recipes, meal planning and going to the market for the week's meals was like taking a step back in time. I even busted out some aprons that I bought years ago at a flea market. While we are enjoying the dishes, though gravy laden and unhealthy and certainly not calorie friendly I think I am enjoying the process more. My Grandmother has no idea what a gift she gave me when she let me take this recipe collection from her. While I am still lucky to have her in my life and still cooking her special recipes for me, I know that one day a long long time from now, I may not have her around and I will cherish this amazing collection of recipes she collected throughout her life as much as I enjoy the ones of my Mother-in-law to be. It has also inspired me to start a recipe scrapbook of my own. I am going to make a conscious effort to write down my special recipes and print out the ones I find on the internet and keep them in a book so that one day when I am gone, someone may want them as a memory of my cooking successes as well as the disasters! Even people who do not LOVE food and cooking the way I do, can understand how a special dish can bring back a memory of a happy time or a loved one just as much as a photograph can and for me this is one of the most special gifts of all.